The people of Sarayaku are a leading force in 21st century indigenous resistance, engaging the western world politically, legally and philosophically. 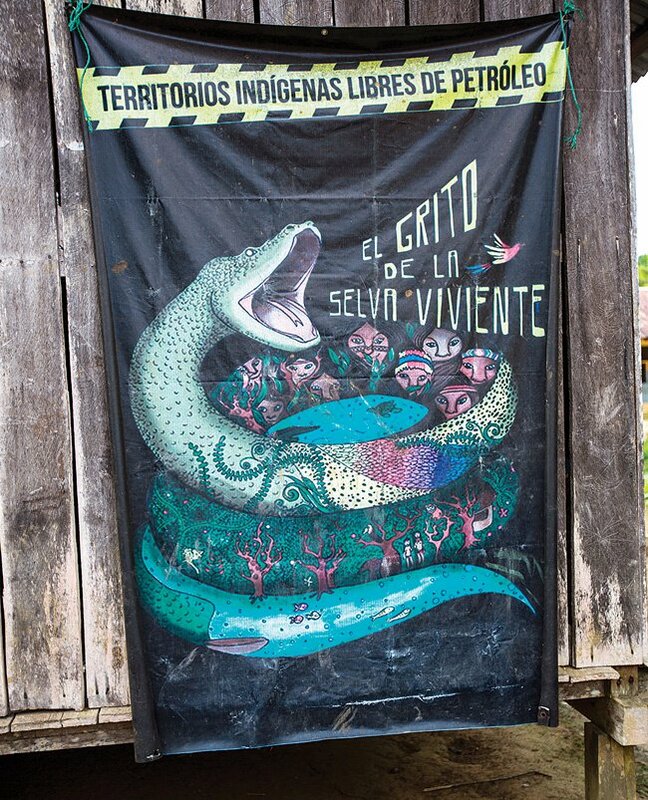 “Indigenous lands free of oil: The cry of the living jungle,” a banner hanging on the side of a building in Sarayaku. Credit: Caroline Bennett/Amazon Watch. All rights reserved.